The last few months I have been using hair oils and serums religiously every day. My hair is such a mess from over bleaching and dying that the ends often break off and I have had to cut a lot of my hair off! The only way to save it is to cut down on dying it and styling it and try to use products to repair it. This serum is now one of my favourites, I have a few serums and oils I am using at the moment but this has to be one of the best. It smells so nice and doesn’t leave my hair feeling tacky or sticky. 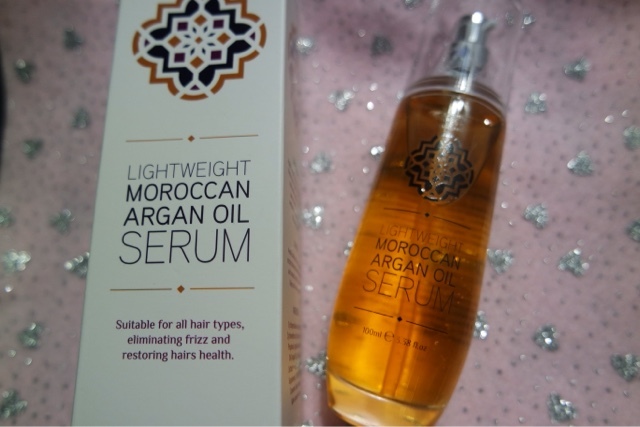 The problem with some oils and serums is that you apply them on damp hair and as your hair drys you can steel feel them quite heavy on the hair but this formula is designed to be lightweight, so that you can see a difference in your hair but it won’t leave that horrible feeling to it. Really impressed with this so far and will most definitely re purchase when I run out!